Because OpenGL 3.x and OpenGL 4.x deprecated and then removed virtually all of the fixed function pipeline, how do we colour our polygons these days?. This tutorial will show you how to use two Vertex Buffer Objects inside of a Vertex Array Object to both draw and colour our shapes at the same time. 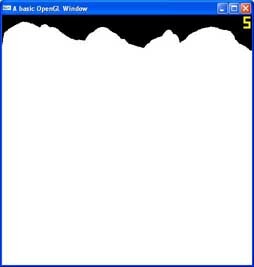 OpenGL 3.x and OpenGL 4.x deprecated virtually all client side rendering calls such as glEnable(GL_TRIANGLES) and glVertex3f, so how do we render things these days?. This tutorial will show you how to use Vertex Array Objects and Vertex Buffer Objects to render in compliance with OpenGL 3.x and up at blistering speeds compared to previous rendering methods in OpenGL. OpenGL 3.x and OpenGL 4.x rely on you to use shaders for all of your effects. This tutorial will show you how to incorporate the shaders from the GLSL section of the site into our new framework. 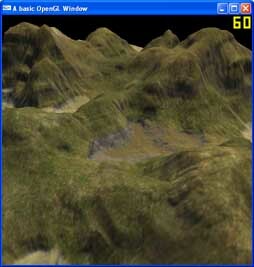 Bump mapping adds an extra sense of realism to today's computer graphics applications that is so simple, it just cannot be ignored. 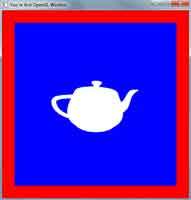 Learn how to do this in GLSL with OpenGL. Swiftless GLSL Shader Developer is a new shader designer/creator which is currently in it's first public release. It features fragment, vertex and geometry shader support, as well as post processing. If you want to use any type of off screen rendering process, then frame buffers are probably the go for you. They allow you to render an entire scene, directly to a texture. Level of Detail is a means of decreasing the polygon count of an object to gain a speed boost in your application. This is an extremely simple take on this, which simply draws every fourth vertex. The best part is, that on such a large terrain, you don't even notice this. 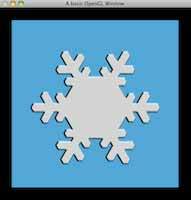 Vertex Buffer Objects are used to store vertices, their indices and other information on the graphics card, for OpenGL to access directly. They are extremely fast and effecient, and are meant to supersede Display Lists. So lets use them for our terrain! Textures are going to be what make and break this terrain. A nice looking tutorial, and you will be seeing grass, mud, rocks and sand, but a bad texture and you will see just a bunch of colors. Lets add a nice texture to our terrain shall we? We have a basic class setup to hold our terrain, so now lets load in some data for us to display.